Details like the shape of the bowl, the central shaft, the bowl and whisk ratio (1/7), make this mixer perfect for pizzerias and artisan laboratory. The chain transmission system enables the elimination of oils and annoying noise. All the parts in contact with the dough are made in stainless steel. Available with inverter and potentiometer for speed control, min.68 max. 208 rpm. 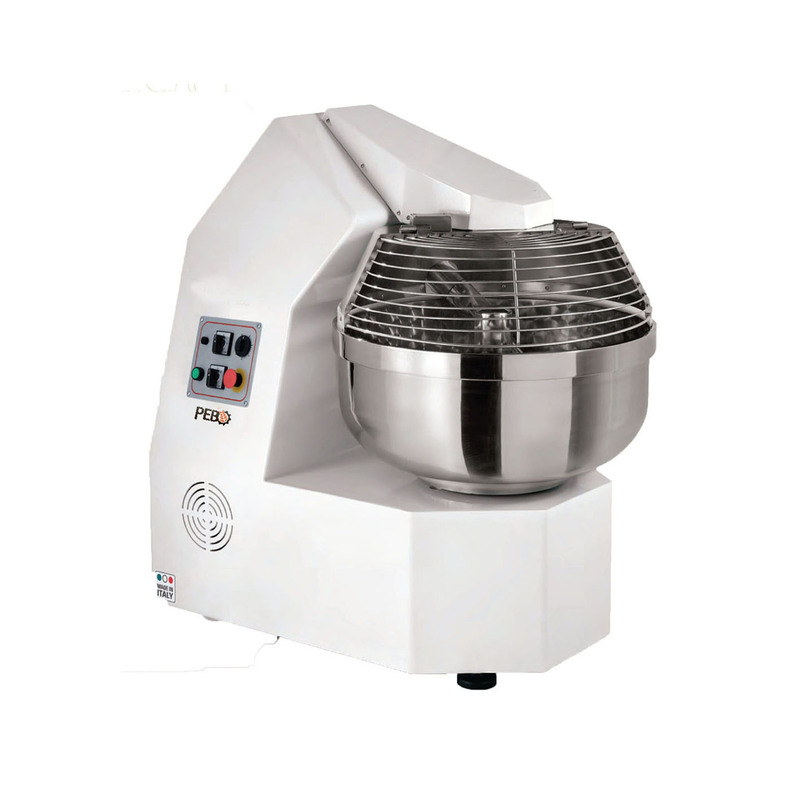 Very robust and easy to use, this fork mixer is recommended for delicate doughs. 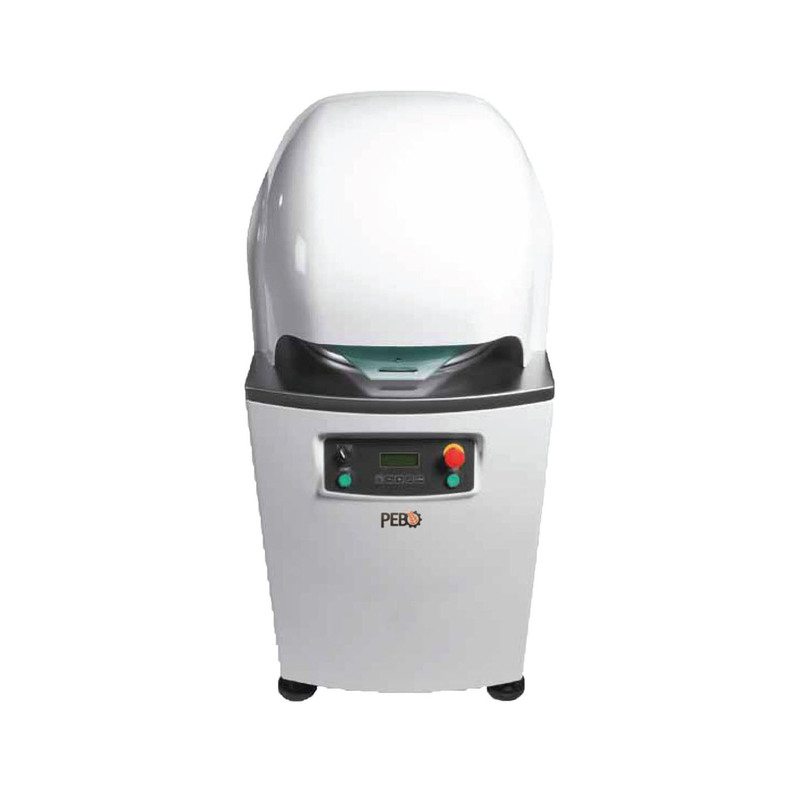 The particular shape of the tool enhances the oxygenation of the dough, without overheating it. 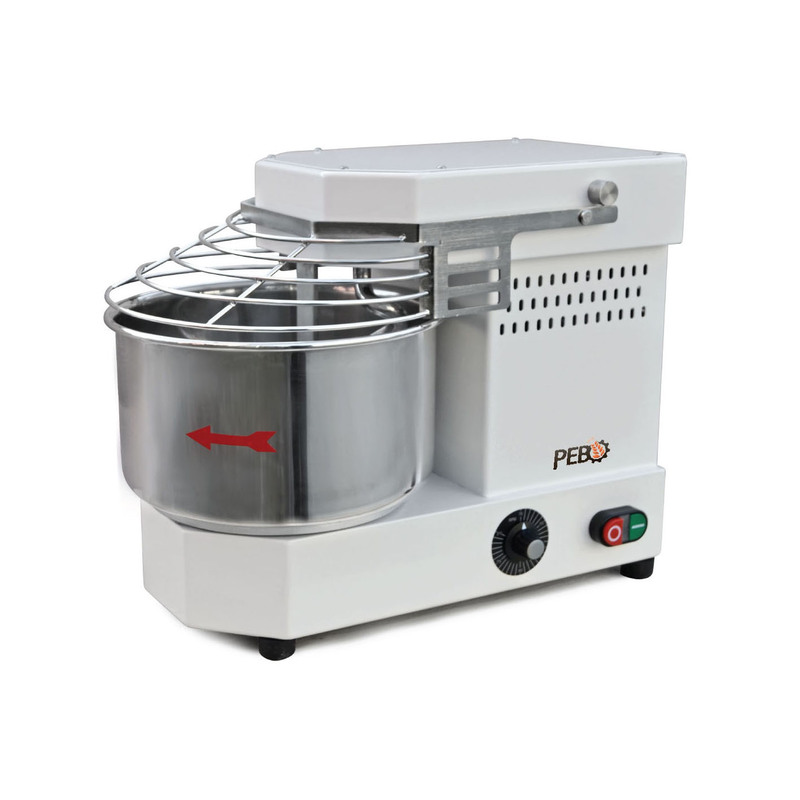 High thickness in varnished steel, adaptor operating in oil bath, independent from the fork and the mixer, double speed standard on all models. Through the use of an archimedean screw the portion of dough is rounded thanks to gravity and without affecting dough. Depending on the type of rounder it is possible to introduce portions of dough of different weights without setting or replacing parts of the machine. 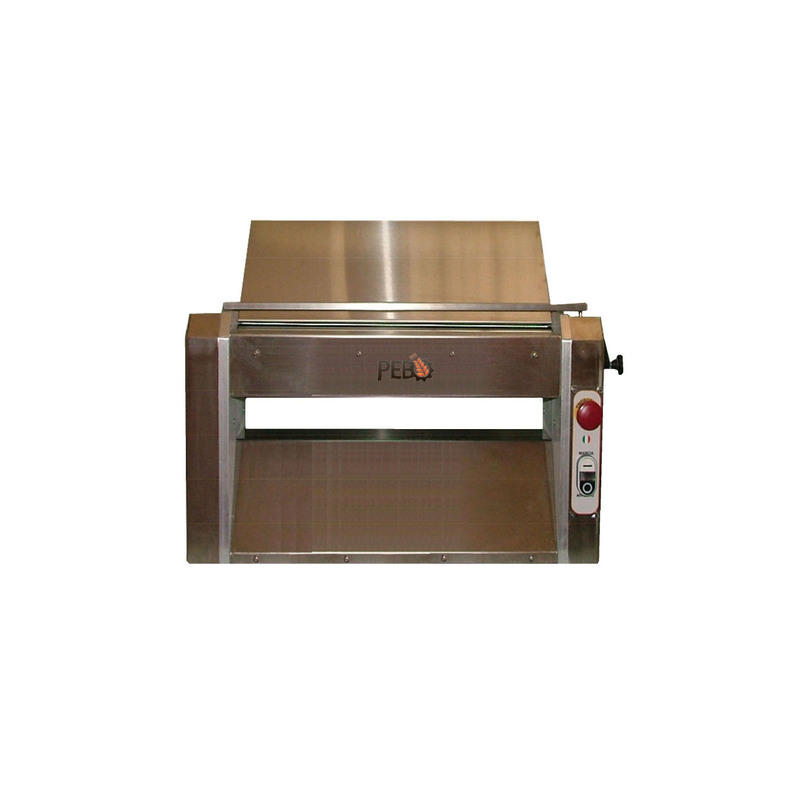 Ideal for easing and minimizing the standard time of dough processing. The archimedean screw can be easily extracted for cleaning operations. This machine enables the cutting of a dough portion in many small parts identical in weight and shape. Then, portions are rounded simulating the hand movement. Depending on the model operations of pressing, cutting and rounding can be managed in an automatic or manual way. Cleaning of the blades is easy and fast thanks to a pushbutton or lever depending on the model. Innovative combined electric oven thanks to a lower static cooking on refractory stone and upper forced air. The small dimensions of this professional oven enable the cooking of main courses, roasts, side dishes, croissants and pizza in just 90 seconds. 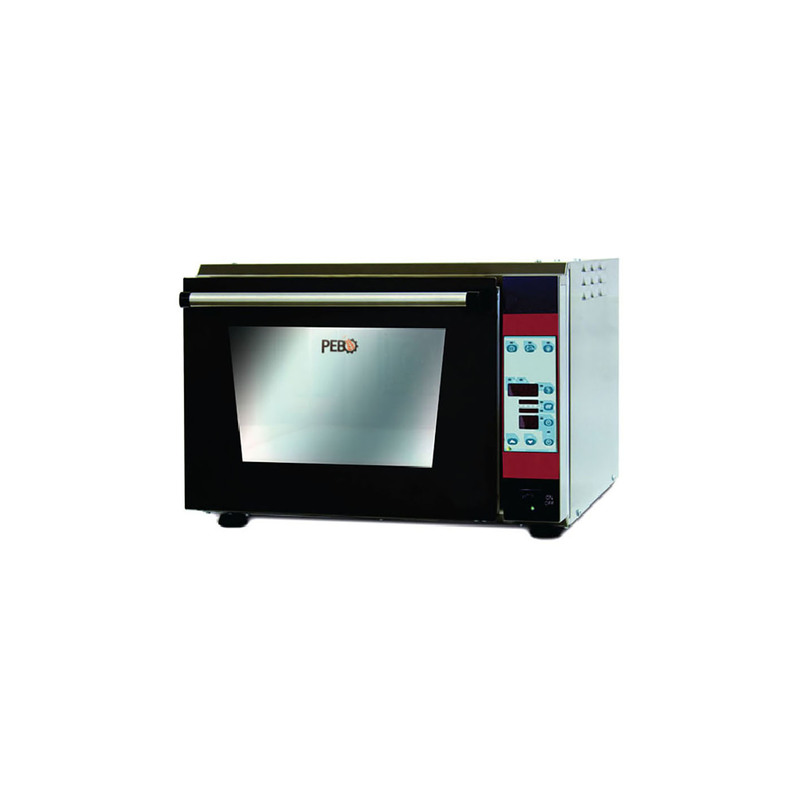 Powerful and quick preheating: 0 – 300 C° in just 6 minutes, this oven is ideal for pubs, snack bar, pizzerias etc.. 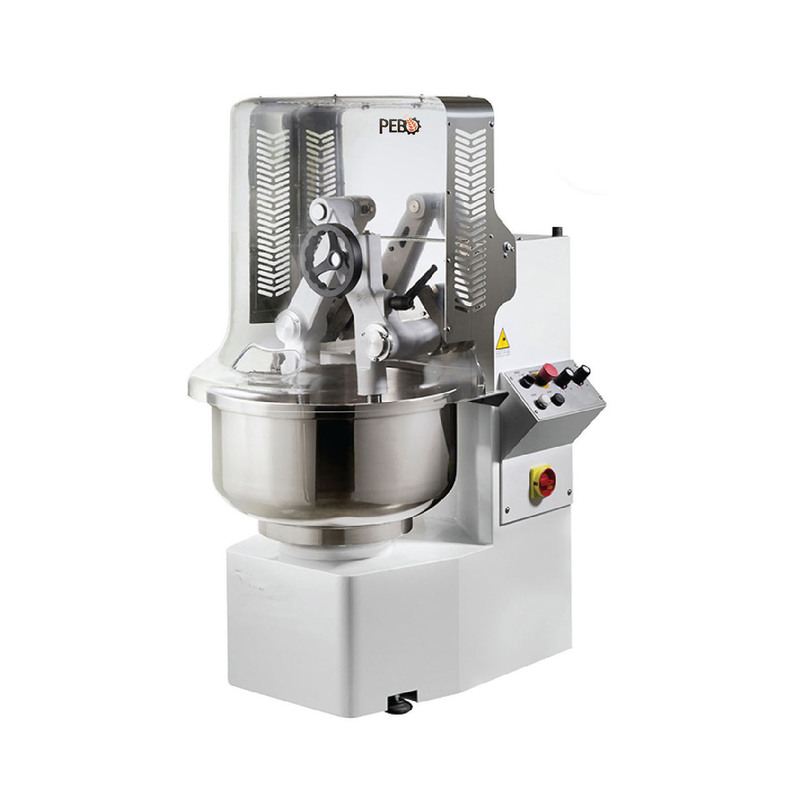 Considered “the queen of mixers” this double arm mixer simulates the movement of human arms, This system allows an excellent blend of the ingredients without overheating or mistreating the dough. Gears in engineering plastic guarantee reliability in time. Two speeds are available, 40 or 60 beats per minute and double timer as standard. Perfect for reducing standard dough preparation time. Through the use of a hopper 30/35 kg of dough can be inserted. The weight is selected thanks to a knob and when started the machine will cut portions of the same weight and shape. 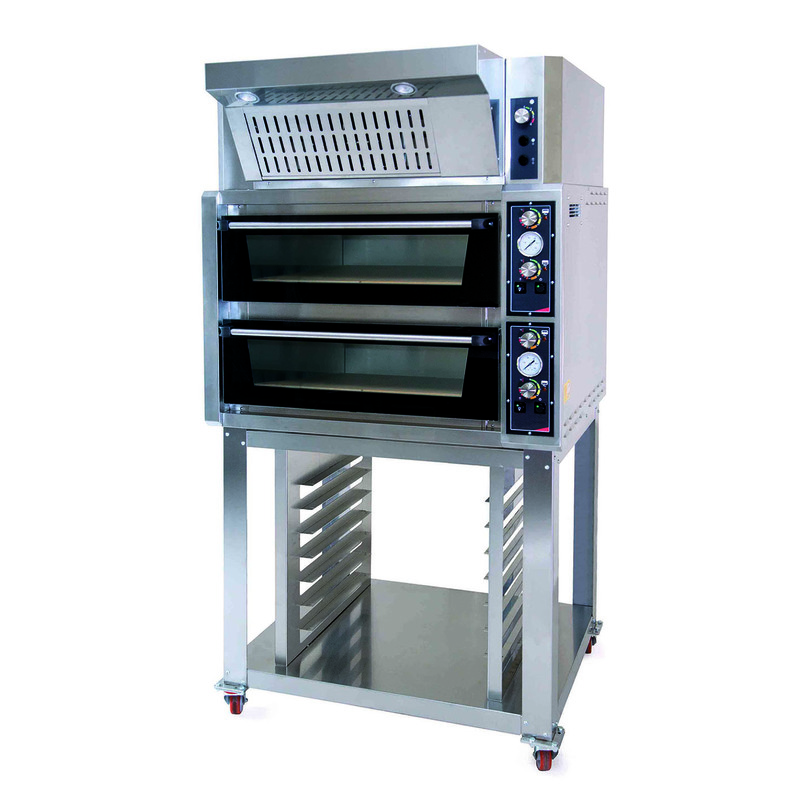 Handy and easy to use, it is ideal for artisan pizzerias and laboratories. 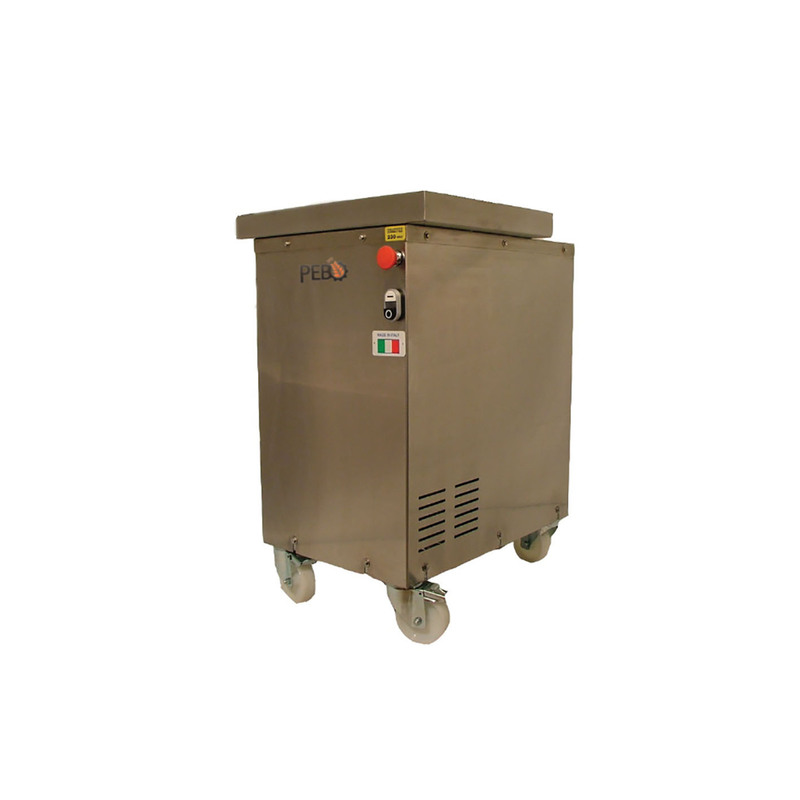 Extremely robust machine built in stainless steel and anodized aluminum. This pizza dough roller facilitates the forming of the disks for preparing pizza. Also ideal for puff pastry and sponge cake. Opening cylinder (steel thickness chromium) adjustable by means of knob from 0.5 to 5 millimeters convenient graduated knob. Easily removab without having to remove screws in order to facilitate cleaning operations. 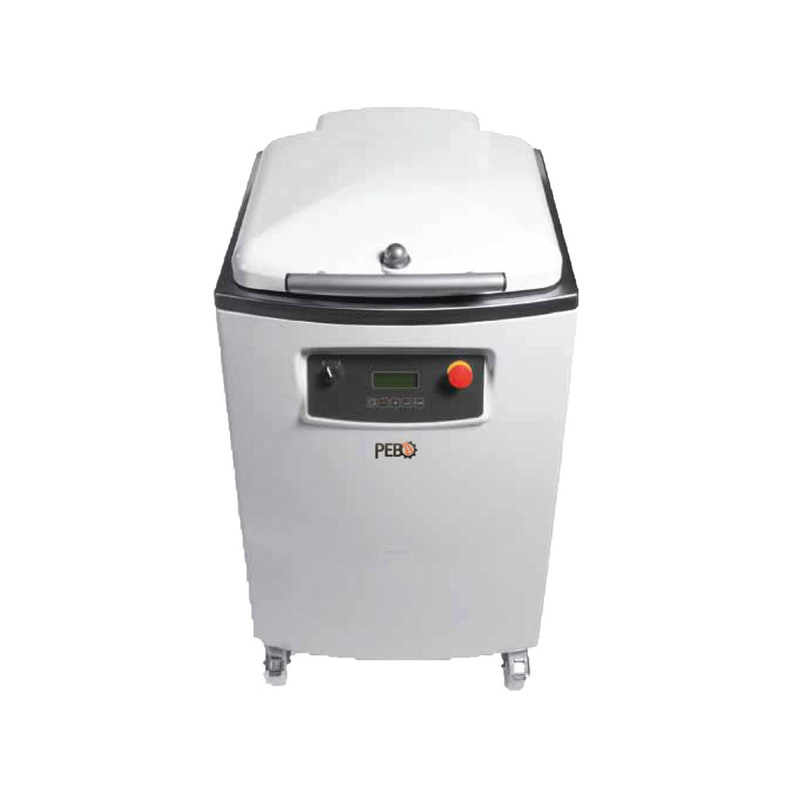 This machine allows to cut a portion of dough into many small parts equal in weight and hexagonal shape. Available in various models in 17 or 37 to satisfy a wide range of basis weight. Depending on the model the operations of pressing and cutting can be carried out automatically or manually. The knives cleaning is quick and easy facilitated by a button or a lever depending on the model.